Children should not be prevented from an exposition to violence. Our world is violent and preventing children from an exposure to violence impedes their education. Violence is a vector of discipline in a child's education. Children do not have the same vision of violence as adults have. Even with parent's protection, children are exposed to violence in their young life. Therefore parents should explain and not prevent. This is unanswerable from an empirical (laboratory) standpoint, as it is unethical to expose minors to potential harm. Harm must be ascertained anecdotally—a less than ideal measure. 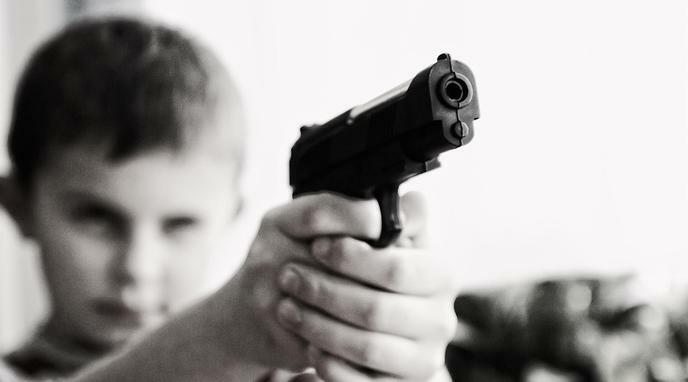 An overexposure to violence during childhood can result in lifelong traumas. Children are sensitive beings who need to be protected from violence. At young ages, children's education is based on mirroring adults' behaviors. Exposing children to violence accelerates the development of the child's maturity, decreasing the duration of his precious childhood.